As a newbie Spanish High School teacher I was in way over my head. I didn't have a mentor. I was in a department of one, and we didn't even have a curriculum to follow! I was also very young. On my first day I got mistaken for a student when a fellow teacher asked me for a hall pass! I am sure these kids were just not very impressed by me. I had gone into that classroom ready to make a difference. I had plenty of ideas and a serious intent to teach them the Spanish language, literature, and grammar. Oh boy, was I in for a rude awakening! From the very first day these kids were uninspired. They looked at me with blank and uninterested faces. They barely paid attention during class, rarely did their homework, and rushed out from the classroom like bats out of you know where. I was getting desperate. Half way through that first semester I decided I had to stop taking myself too seriously. I decided that I wanted to actually connect with these kids and that even if I couldn't teach them any Spanish, I would at least pique their interest in the language. That was my first breakthrough! I quickly learned that the best way to connect with my students was through cultural experiences and games. Instead of dry grammar lessons and rote memorization of vocabulary, I would try to make everything into a game or a very fun and creative activity. We danced, we played memory, we divided ourselves into teams and had “grammar battles”. To my surprise, they began to understand and pick up on the language, but more importantly, they became interested in learning more! Now that I work with younger children and have had more training as a teacher, I realize the importance and effectiveness of what I was doing out of desperation. 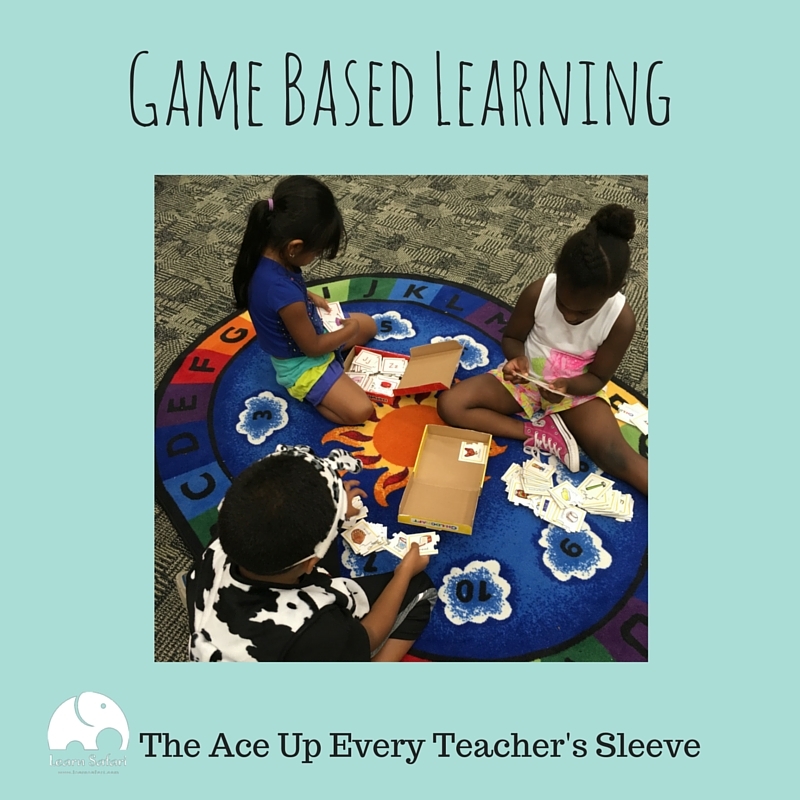 Now I deliberately try to make learning into a fun game and my students learn through play. I even do the same things in my work with Learn Safari. Our app the easiest way to teach kids Spanish and gamification is one of our core tenants. When creating game based learning material, be sure to keep the above core drivers in mind. It can be difficult and you may need to be extra thoughtful. However, incorporating these into your materials will cause your children/students to engage on a level you probably haven't seen before. Something as simple as using points and pitting players against each other (while still teaching respect and fair play) can do so much more for motivating a student than any test can! The more ways in which you can seamlessly include the above drivers of human motivation, the more effective your game will be. The concept of game based learning is becoming more popular with teachers, parents and students. A 2015 survey conducted by TES Global found that when it comes to technology, teachers are more interested in game-based learning products over everything else. And with good reason; learning is so much more effective when it's enjoyable and when it's based on experiences. So if your children or students are ever experiencing difficulties, or if they lack motivation, try to make a game out of the learning material! Do you have any tips for introducing gamification into the classroom or homeschool room? Share your thoughts with me in the comments below! Newer PostWe All Want Our Kids To Be Geniuses, But Are You Making These 5 Common Mistakes?